David Murphy from Co. Armagh, Northern Ireland has been crowned the winner of the Yara Grass Prix competition for 2015. Alan and David Wallace of Co. Antrim followed closely behind in third place. Murphy forged ahead at the first cut stage with an energy content of 100,453MJ/ha worth £1,036/ha. With a further 102,697MJ/ha to add from his second cut, Murphy won with a total of 203,150MJ/ha equaling a grass value of £2,281/ha. Yara’s Irish Business Manager, Nicholas Morrison, said that for 2015, the competition had six Irish entrants and that Yara was determined to claim the winning title for Ireland this year. “We have one of the best climates for grass growth so, with the added attention to detail, it is fantastic that we are able to celebrate three Irish competitors in the top four,” he said. Coming in second is last year’s winner, Willie Watson of Mauchline, Ayrshire with 181,418 MJ/ha and in third place are Alan and David Wallace dairy farmers with 175,006 MJ/ha. 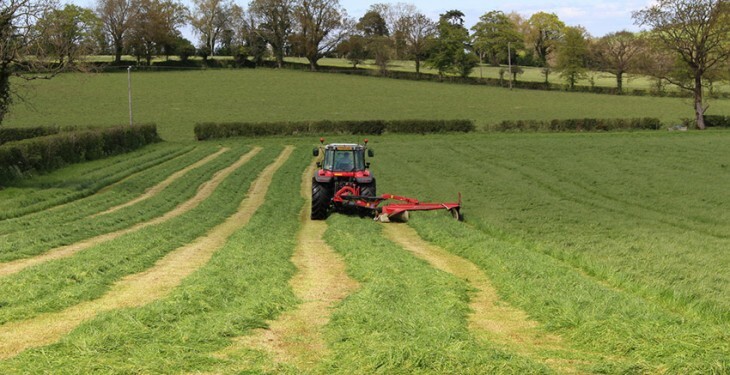 The competition, now in its second year, sees leading beef and dairy farmers from Ireland and the UK competing to achieve the highest energy yield from grass. The Yara Grass Prix winner is the entrant with the highest metabolisable energy yield (ME per ha) averaged over the first two silage cuts. Murphy farms in Tynan, Co. Armagh and runs a dairy enterprise with 300 autumn calving cows. 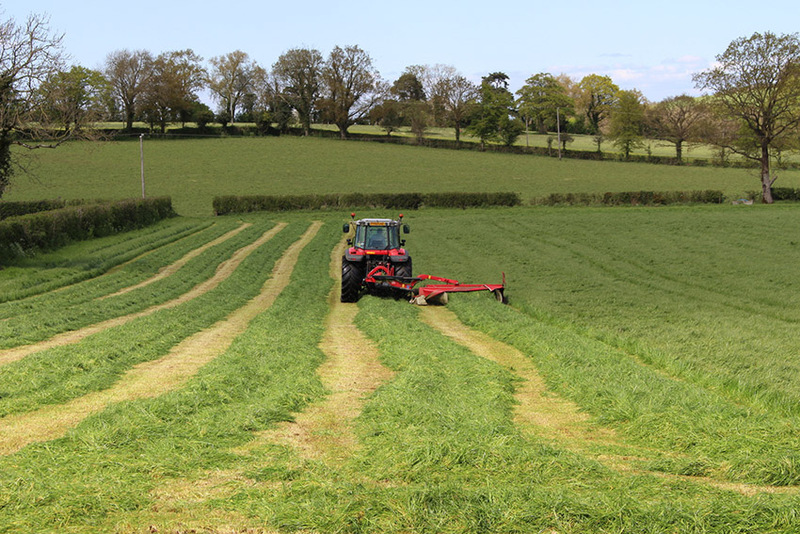 The herd is zero grazed buffered with high-quality silage and Murphy has 500ac of grass for cutting. Growing high-quality grass is fundamental to the profitability of winner Murphy whose herd of 300 cows are housed all year round and fed using a zero grazing system buffer fed with high-quality silage, according to Yara. “Grass is everything and ME is most important. Making up the difference for poor quality grass could mean feeding an extra 3kg of meal per cow per day, which over the whole herd would add up to an extra £6,300 per month in feed costs,” Murphy said. Yara states that the importance of treating grass as an arable crop, by completing a nutrient management plan ensuring all nutrient requirements are met and balanced, is appreciated by all entering the Yara Grass Prix. For Murphy, ‘attention to detail’ starts with a programme of regular reseeding, soil testing, liming and nutrient planning with fertilizer applications (as shown below for the top three growers) balanced to satisfy nutrient requirements once slurry applications have taken place. “Our focus on the farm has always been to achieve as much milk as possible from grass. “Maximise the grass production and minimise the inputs from concentrates is the only way to maximise profit and minimise the exposure to milk price volatility,” he said. The Grass Prix competition has also reinforced my beliefs on making grass silage. There is no point having bulk if you haven’t got quality, quality is what puts litres in the bulk tank. Compared to buying in the same amount ME in compound feeds Murphy’s winning total of 203,150MJ/ha gives him a value of £2,281/ha, having spent £185 on fertilizer. This compares very favourably to the average UK farm business which spent £160/ha and achieved £1,288/ha. Winner produced 18.72 T DM/ha worth £2,281/ha. Top three averaged 17.19 T DM/ha worth £2020 /ha. UK Average 10.54 T DM/ha worth £1,288/ha. A further point to emerge is that grass, like any other crop, benefits from the application of quality, NPK compound fertilizer – rather than quantity. British Survey of Fertilize Practice (BSFP) average application rate and total cost, as shown below, illustrates that the Grass Prix winner and Top three all spent more than the average British dairy farmer on fertilizer. According to Yara, Murphy spent an extra £25/ha (16%) on fertilizer and achieved an extra £993/ha compared to ‘national’ averages and the Top Three spent on average an extra £15/ha and achieved an extra £762. A Yara Agronomist has said that this comparison goes to show that paying slightly more for a better quality, carefully formulated compound, is rewarded by significantly better result and return on investment.